Owensboro's best choice in concrete floor coatings! ​Commonwealth Concrete Coatings serves the Owensboro, KY and Western Kentucky region with professional concrete coating solutions for residential, commercial and industrial applications. 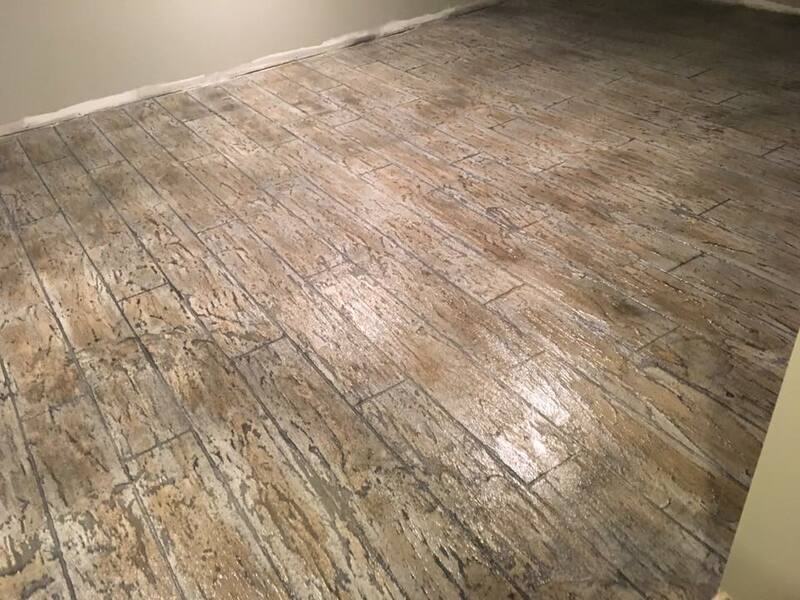 Specializing in decorative overlays, stains, sealants and epoxies, CCC gives your concrete the protection it needs while making it give it a look that will tie any room together weather in your home or office. While industrial settings call for a stouter floor that will stand up to the harassing conditions, CCC can cover it all. For a free estimate, contact Commonwealth Concrete Coatings a call today! Decorative concrete overlays are applied to your existing concrete surface with a variety of techniques from hand troweling to a squeegee. We don't particularly stamp the concrete in most cases, that's more often used when the concrete has just been poured. Whether you want decorative concrete on your front porch or basement and anywhere in between, if it's be poured more than 28 days ago, we can apply our concrete coatings, decorative overlays and stains to any existing concrete surface. Concrete coatings are not just for ascetics, many applications help extend the life of the concrete while making clean up easier. Garage floors are somewhat of a hassle to keep clean, with an epoxy coatings from CCC clean up is a breeze and give it a great look at the same time. You may think that your concrete is too far gone and it needs to be taken out and start all over. CCC can evaluate the concrete and determine if this is the case. Even if you have stained it yourself or it’s been many years and it needs a little TLC. CCC takes every step to insure the new coating is going to bond to the substrate for long lasting results. This makes the preparation and cleaning of the existing concrete surface (substrate) one of the most important steps of the process. The concrete must be profiled and cleaned thoroughly in order for the overlay system to adhere and bond properly to create solid adhesion. What would be the second most important part you may ask, curing time. After the coating is applied and everything looks great, the product needs to cure. There is a difference between dry time and curing time. Once it’s dry most products will allow light foot traffic only, while heavy traffic and large objects (furniture, heavy equipment and the sort) need to wait until the product is cured and a solid bond between the substrate and coating has been made. When working in industrial manufacturing plants and environments where downtime is needed to keep to minimum, timing and working around schedules can make all the difference! CCC works closely with management to orchestrate the project in order to be completed on time to minimize any downtime that may be required. We also keep expanding our line of products to have a wide variety of materials that best suit each application to have the maximum amount of performance at a minimum amount of downtime. Our extensive line of epoxy concrete coatings are very versatile and are used in areas from automotive service stations, airplane hangers, manufacturing facilities, as well as schools and restaurants. Epoxy coatings make it easy to clean oil, antifreeze, hydraulic oil and many other potential stain causing residues off the your floor where untreated concrete can be stained for life. Contact Us For A Free Estimate!!! 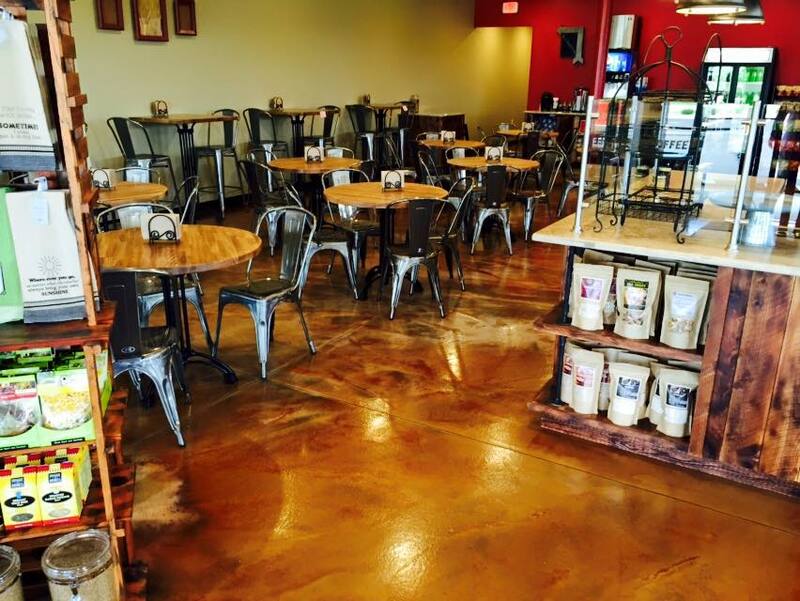 From office buildings to restaurants Commonwealth Concrete Coatings has solutions for every environment. Whether it's your basement or garage Commonwealth Concrete Coatings can make any room more livable. Commonwealth Concrete Coatings specializes in safety lines and epoxy coatings with fast turn around times to get production back up and running.